Do you get a dose of them every time you wash your hair? "The Cosmetics Industry Has Borrowed a Page from the Playbook of the Tobacco Industry by Putting Profits Ahead of Public Health"
"Does my Shampoo or Conditioner Contain Any of These 5 Potentially Toxic Ingredients?" Is Your Shampoo and Conditioner Interfering With Your Hormones and Making You Fat? The EPA has found synthetic hormone-disrupting chemicals in shampoo preservatives and many of them can be found in products that claim to be 'natural' and 'organic.' The most disturbing of these is antimicrobial preservatives called parabens which have proven to disrupt your endocrine system. So what is an endocrine disruptor and why should it concern you? It all boils down to this: they mimic, disrupt or block the actions of your hormones and interfere with your body’s hormonal pathways. And when you consider the fact the endocrine system regulates every function of your body and provides instructions to your body that tell your cells what to do, this can have disastrous consequences. For instance, one messenger hormone, estrogen, is secreted by ovaries and plays a big part in regulation of fertility, pregnancy, menstruation and fat cell activity. And too much estrogen can cause big problems including weight gain, fluid retention, and depression. So what can you do to avoid these parabens? If you visit the SLS page on the Environmental Working Group’s (a non-profit public-interest research group known for making connections between chemical exposure and adverse health conditions) website, you will see a very long list of health concerns and associated research studies. In fact, you will also see their mention of nearly 16,000 studies in the PubMed science library (as well as their link to that list) about the toxicity of this chemical. So look for it in your hair care products. It also goes by a number of different names including sodium lauryl sulfate, sodium laureth sulfate, ammonium laurel sulfate, sodium dodecylsulfate, sulfuric acid, sodium salt sulfuric acid, A12-00356, Akyposal SDS, Aquarex ME, and Aquarex methyl. Toxic Ingredient #2: Dioxane: Dioxane's connection to carcinogens was first reported in 1965 and confirmed in 1978. In fact, back in 1985, the FDA recognized these dangers, and requested that manufacturers voluntarily limit dioxane levels in cosmetics and personal-care products to 10 parts per million. But it hasn’t happened. In fact, Los Angeles Times staff writer, Marla Cone, in February 2007 reported that all eighteen personal care products for both adults and children which she had tested by an independent laboratory were contaminated with high levels of dioxane. Toxic Ingredient #3: Diethanolamine or DEA: In a recent FDA report, approximately 42% of all cosmetics were contaminated with NDEA, with shampoos having the highest concentrations. DEA also readily reacts with nitrite preservatives and contaminants to create nitrosodiethanolamine (NDEA), a known and potent carcinogen. This is a big problem because DEA seems to block absorption of the nutrient choline, which is vital to brain development. Pregnant women actually require extra choline so they can pass it onto their fetus. An associate dean for research at the UNC School of Public Health mentioned that choline is necessary to help provide proper nutrients for a healthy baby; stating that, "At this point it is a caution. But it would probably be prudent to look at labels and try to limit exposure until we know more." Toxic Ingredient #4: MSG: You’ve been told to avoid MSG in your food, right? After all, many people experience symptoms like headaches, dizziness, and stomach discomfort after consuming MSG-containing products. And according to the FDA, MSG side effects include: numbness, burning sensations, tingling, facial pressure, headaches, nausea, drowsiness and weakness, among other problems. But did you know MSG, short for monosodium glutamate, is also more than likely in your shampoo, often secretly hidden and referred to as amino acids, yeast extract, nayad, glutamic acid, or glutamates? Toxic Ingredient #5: Propylene Glycol: This active ingredient is found in engine coolants and antifreeze, airplane de-icers, tire sealants, rubber cleaners, polyurethane cushions, paints, adhesives, enamels and varnishes, and in many products as a solvent or surfactant. Would you add it to your grocery basket on a week to week basis? Would you feed it to your children? You might think that because your skin is about one tenth of an inch thick, it protects your body from absorbing the many things you come into contact with. But the truth is, when you consume toxins in foods, such as pesticides in fruit and vegetables, the enzymes in your saliva and stomach often break them down and flush them out of your body. Food also passes through your liver and kidneys. The toxins which make it through are detoxified to varying degrees by enzymes before they reach the remainder of your body. Here’s how it works: when you have a warm shower, your pores automatically open up, which may make it easier for sodium laurel sulfate... DEA... MSG... propylene glycol, and Ethylene Oxide to enter your blood stream. And while you have been told about the damaging effects of pesticides and additives in food, the ugly truth about the damage shampoo and conditioner may do to your body has been hidden until now. If you think you can trust the labels on your hair care products, THINK AGAIN! For instance, about half of all the labels on 14,200 products examined by the Environmental Working Group ended up having mislabelled ingredients with some misspelled, and others having different names for the same ingredient depending on the manufacturer. What’s more, there were 41 online retailers of cosmetics identified by EWG who failed to post any of their ingredients online. And when the FDA was pressured to make these retailers conform, they replied: "There is no requirement that a manufacturer put an ingredient list on a website." The reality is your shampoo and conditioner may be just as toxic. In fact, it’s a serious case of "Buyer Beware" because it is the manufacturer’s responsibility to determine whether a product is safe. In our opinion, it’s an outrage. At least with cigarettes, you know they are dangerous to your health. But the manufacturers selling you shampoo and conditioner are taking reckless advantage of the less stringent FDA regulations applicable to cosmetics. "WARNING. THE SAFETY OF THIS PRODUCT HAS NOT BEEN DETERMINED." So who’s in control of the safety? The manufacturers. It seems that the FDA is allowing them to pass their own judgement about the safety of their product. What a joke. The FDA regulations are intended to protect you from dangerous products by insisting products which contain dangerous ingredients include warning statements. But the reality is that the agency does not have adequate resources to enforce this requirement. Your hairdresser knows best right? wrong! As Stacy Malkan made quite clear in her 2007 book, Not Just a Pretty Face, the following untruth was on its website as of January, 2007: "The FDA routinely conducts studies and tests to ensure the safety of all cosmetic products... FDA’s legal authority over cosmetics is comparable with its authority over foods, non-prescription drugs, and non-prescription medical devices." However, the FDA simply does not have the resources to "routinely" test skin products like shampoo in the way I believe they should. And as long as the manufacturers’ profits stay high, I do not believe that anything is about to change. Meanwhile, most people are content to put their trust in the FDA and take them at face value believing if the products actually contained threats to their health, the FDA would have the resources to routinely take enforcement action. In our opinion, nothing could be further from the truth. And that’s why several months ago, I decided that until Congress gives the Food and Drug Administration the required resources to do its job, I’ll do what I can to expose the truth about the risks that can be associated with hair care products. The primary ingredient found in many natural shampoos is soap-based. The problem with many of these "natural" shampoos is that they typically don’t clean very well, and tend to form scum by reacting with calcium and magnesium ions present in water. This leaves a residue that can leave your hair feeling unclean and looking rather dull. What’s more, the pH of soap-based cleansers is very basic, about 8-9--which can cause damage to your hair by lifting cuticles and causing reactions which affect the disulfide bonds in your hair. Ingredients like sodium silicate and borax are added to help overcome the scum formation and dulling effect on your hair. Additionally, many of the natural products on the market today don’t create a luxurious, creamy, rich lather. Red clover: Used topically to promote healthier-looking skin and hair. Comfrey: Rich in minerals and B vitamins. Canadian Balsam: Made from the resin of the balsam fir tree which provides the product with its viscosity. Sunflower (Helanthus Annus) Extract: When used in hair care, due to its rich polyphenol and vitamin E content, it protects hair color. It also helps provide a photo-protective seal around hair shafts from splits, therefore enhancing the sheen of your hair and promoting healthier-looking hair. Witch Hazel Leaf Extract: An extract of the leaves of Hamamelisviginiana that is often used in aftershave lotions. Cetyl Alchohol (coconut oil): Used as a foam-boosting surfactant. Thickening Agent derived from cellulose: Keeps conditioner from being too runny. Conditioner derived from Guar Gum: Extracted from the guar bean. It is a natural thickener. Vanilla fruit extract: A source of polyphenols which exhibit antioxidant activity. Vanilla Planifolia Fruit Oil: Perhaps the hottest new substance in the international skin care industry. This plant is tucked away on the tiny island of Madagascar and is known for holding promise for exceptional skin rejuvenation. Aloe barbadensis Leaf Juice: More commonly known as aloe vera, this liquid is known to soothe skin. 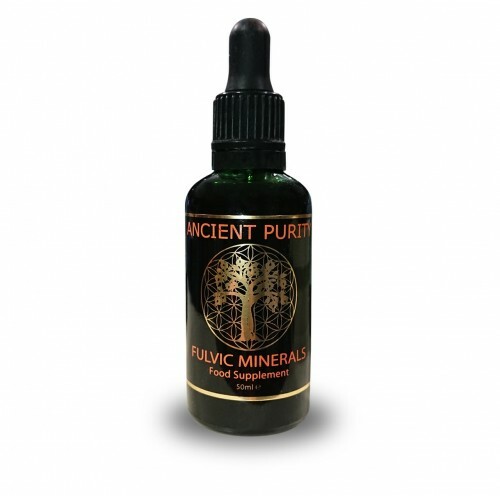 Citric Acid: An organic acid used as a gentle way to adjust pH down. Take a moment to check out the chart above and then compare the ingredients with the veritable witch’s brew of potentially carcinogenic ingredients and contaminants found in those you’ll find at your local salon and supermarket shelves. You’ll see that my Volumizing Shampoo and Revitalizing Conditioner gives you all the goodness without the potentially negative effects. You won’t find any of the nasty toxins commonly found in shampoos such as Sodium Lauryl Sulfate, parabens, Ethylene oxide, DEA, MSG, or propylene glycol. But you will find a shampoo that, with continued usage improves your hair’s texture and strength without stripping away essential oils. In fact, this invigorating and purifying formula helps to eliminate build-up from your hair and scalp, and encourages healthy-looking hair, leaving your hair looking thicker, fuller, and shinier. How does my shampoo and conditioner manage to moisturize without stripping your hair? It all boils down to the fact that the ingredients are designed to nourish and strengthen your hair, while gently cleansing away impurities and toxins--providing your hair with the natural conditioning and healthy-looking results it deserves. It reconstructs damaged hair… adds noticeable volume and shine… moisturizes… radically reduces the appearance of split ends… and shields your hair from damage due to the environment, and chemical treatments, without weighing your hair down. So why not give your hair the best world-class ingredients today so you can enjoy naturally healthy-looking hair? Volumising Shampoo and Revitalizing Conditioner is gentle enough on hair for daily use. It will boost shine by nourishing your scalp, and leave your hair feeling healthier. And because it’s free of parabens and SLS, it’s also one of the safest products to use on stressed or damaged hair that has undergone any chemical treatment. One... Continue using your current shampoo and conditioner because you are used to it. Put your head in the sand, trust the FDA, and ignore the fact that the majority of shampoos and conditioners on the market are the beauty equivalent of junk food--designed to fill a temporary craving. And ignore the fact you’re probably absorbing carcinogenic ingredients directly into your bloodstream. Guarantee No. 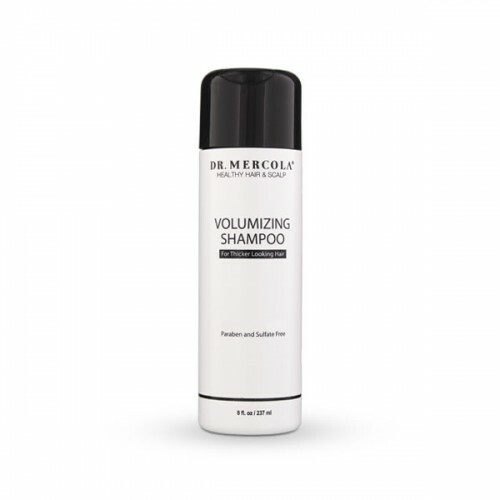 1: Volumizing Shampoo and Revitalizing Conditioner will give you the same lathering and texture as the leading shampoo and conditioner brands – or you receive store credit for the purchase price (less shipping). That’s right! You must be completely happy with your purchase or you will receive store credit (less shipping). Guarantee No. 2: Volumizing Shampoo and Revitalizing Conditioner is guaranteed to meet and exceed the highest quality of ingredient standards. It has been tested in the Briar research salons, and been through thorough research to ensure it works just as well as the leading products on the market. You must be completely happy with your purchase or you will receive store credit for the purchase price (less shipping). Guarantee No. 3: Volumizing Shampoo and Revitalizing Conditioner is guaranteed to be free of the potentially carcinogenic substances almost all shampoos use, including Sodium Lauryl Sulfate, MSG, Ethylene Oxide, DEA and Propylene Glycol. That means you get a shampoo which cleans and adds volume and shine to your hair without the potential negative effects. You must be completely happy with your purchase or you will receive store credit for the purchase price (less shipping, see below for refund policy). Natural thickening agent derived from cellulose. Natural conditioner derived from guar gum. After shampooing, apply a small amount evenly through hair. Leave in for one to two minutes. Rinse. Repeat as needed.